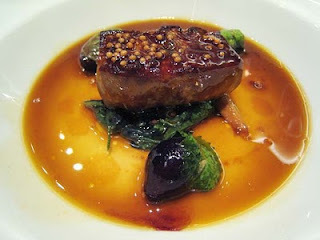 In the culinary world, Strasbourg connotes pâté de foie gras. This French delicacy is made from the liver of a specially fattened and force-fed goose or duck. 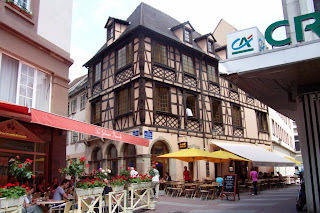 Strasbourg is the birthplace of this French invention and the best foie gras happens to be produced in, where else, Strasbourg. On a day trip in summer 2007, I checked out Galerie Lafayette in Strasbourg for their selection of this fine comestible. It was pricey but the intended recipients across the Rhine deserved the real thing. 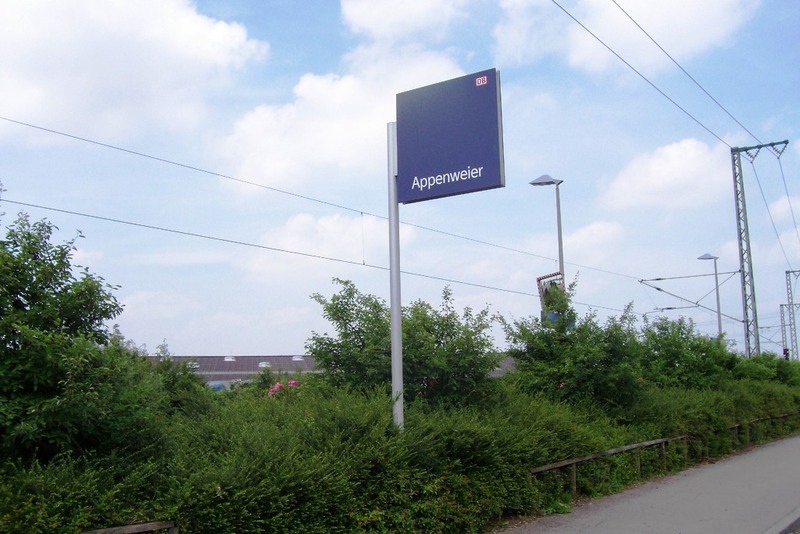 To get to Strasbourg from Baden-Baden, 1 1/2 hours away, first I had to take a train that dropped me off at Appenweier. The station was quite "special". It didn't look and feel like a train station, only a platform with a sign. A friend in Stuttgart remembered stopping once in Appenweier to catch a connection, and wondered if she had gotten off the wrong stop or just lost. 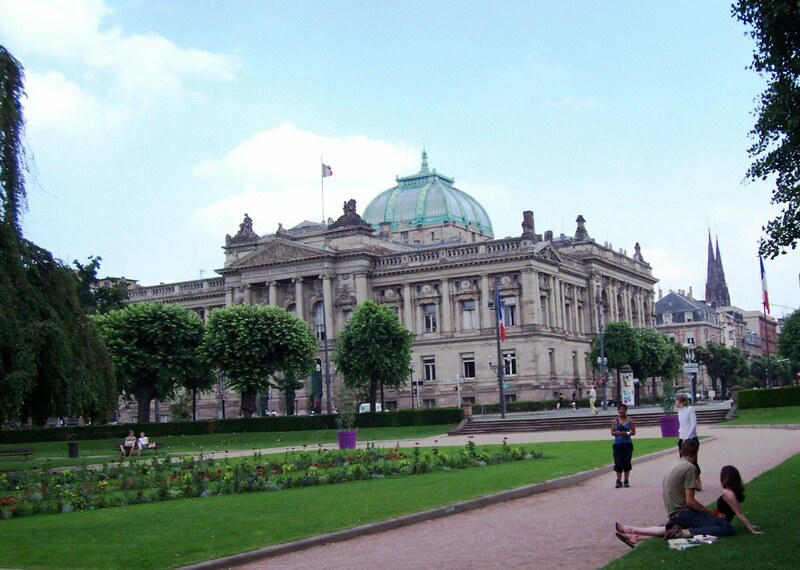 The connecting train was a city tram which took its passengers across the Rhine into the Gare de Strasbourg where they came out of a cigar shaped dome. 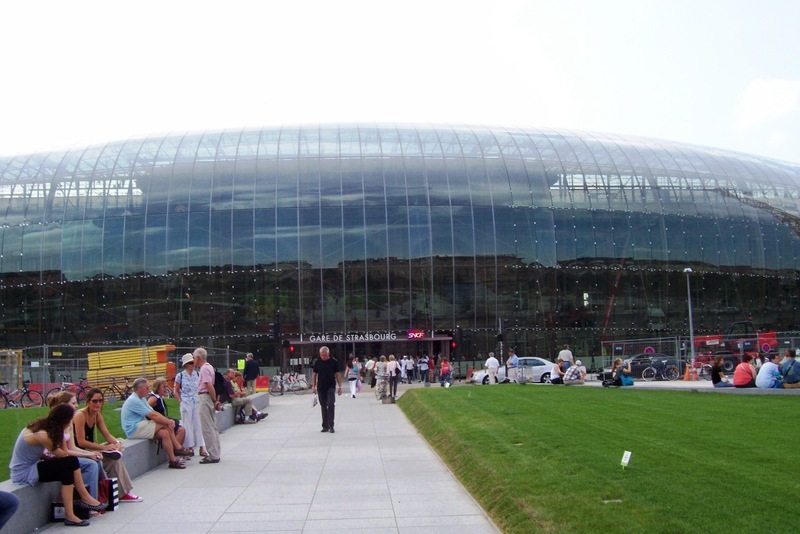 With typical French creativity and artistry, the train station was being expanded with an enclosure of elongated glass dome. Thus the cigar shape. It made a contrasting statement to the historic old town. The old town, Grande Ile, a UNESCO World Heritage, seemed to be going through major public works. Nevertheless, it maintained it gallic charm and joie de vivre. 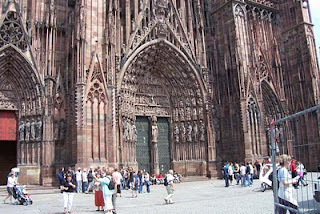 Strasbourg Cathedral reminded me of the big one in Cologne, looking very gothic. The cafes were in full bloom. 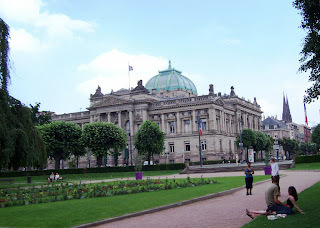 Outside the old town was a huge park leading to a French government institution (university I believe). On the way, I came across a memorial to General Leclerc who commanded a division that liberated Paris in 1944. I have since learned there's a Leclerc memorial or a Leclerc street in just about every town and city in France. I had to cut short my visit to catch the tram back. 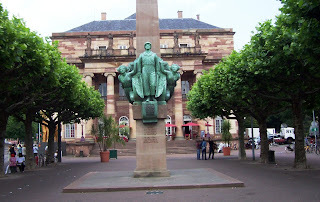 Fortunately, the tram was headed for Freiburg instead, to connect with German rail. 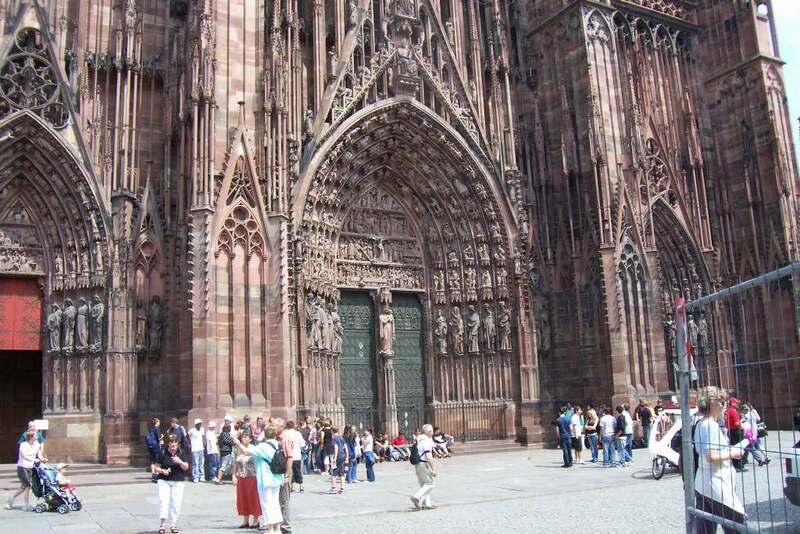 One would rather be stuck in Freiburg than in Appenweier.